Gyokuro tea is considered the most precious and most noble of all teas. Why is this tea the finest or best Japanese green tea? Its high grade and premium reputation are the result of the special processing methods that this tea undergoes. 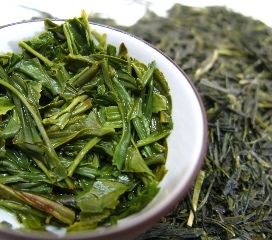 With dark green needle-shaped leaves, this Japanese green tea is unique and quite rare. 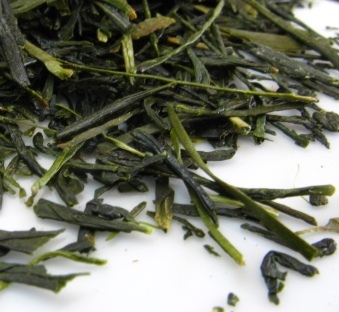 Gyokuro has a sweet, soft marine-like flavor and amazing fragrance. It is unlike that of any tea you have ever tasted and no tea collection would be complete without it. Let’s take a sip of this tea and be transported to Japan on an unforgettable journey! 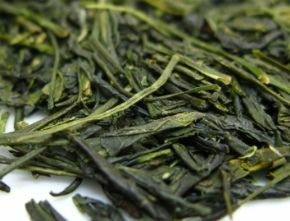 Let’s take a deeper look at the processing of Gyokuro green tea to understand what makes it such a special and different tea. Gyokuro tea is grown in different conditions from other green teas. This tea undergoes a special process to alter the chemical composition of its leaves. 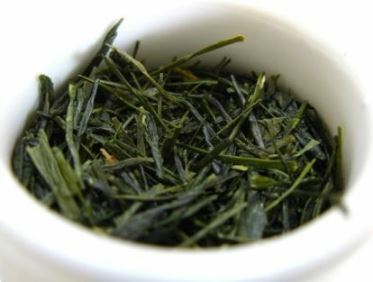 This green tea is grown in a misty and rainy climate at a lower altitude than sencha, a more common Japanese green tea. A few weeks before plucking, the tea bush is covered with black curtains or bamboo and straw shades, filtering about 90% of the sunlight. Shading defines the character of the tea by reducing the photosynthesis process and so increasing the chlorophyll content. The leaves become dark green and the tannin content is reduced, making a sweeter and less astringent tea. As a result, you will get a pure and fresh tea. Only the youngest buds are picked once a year in the springtime, called the first flush, so it is quite a rare tea to find in stores. Once plucked the leaves are immediately steamed to stop the oxidation process and preserve their characteristic flavor. Once the Gyokuro green tea leaves are cooled down, they then undergo several stages of rolling in order to soften the leaves, promote drying and to allow them to acquire their delicate needle shape. To further reduce their moisture, the leaves are dried again. By this stage, the tea leaves are called "aracha" and will be sorted into several grades named "tencha". The finest grades of tencha will make Gyokuro tea come to life. The leaves are then fired to reduce the moisture one last time, thus making this tea last longer and enhancing its flavor. Finally the leaves are aged for several months before packaging and shipping to tea shops around the world. This is truly an art that requires dedication, patience and skillfulness, allowing you to experience a truly calming and refreshing moment in the immense world of green tea and its benefits. Have a look at the following health benefits and find out if this is the right tea for you. Drinking unsweetened green tea at meals or during the day may help you to lose any extra pounds you may have and still make you feel energetic and strong. Green tea antioxidants, namely EGCG, speed up your metabolism, burning calories and fat much faster. Combine it with a balanced diet and exercise and you will feel it working every step of the way, improving your overall well-being. Here’s a tip: You can even eat Gyokuro green tea leaves, since they are so soft and tender. Try eating them with soy sauce and lemon juice. Try this and then create your own green tea recipes. Again thanks to its high content of antioxidants, Gyokuro green tea is able to fight free radicals, which are responsible for the growth of tumors. Gyokuro tea will strengthen your immune system, making it able to fight harmful bacteria and reduce the risk of cancer. Drink this and other green teas on a daily basis to help prevent disease and premature cell aging. Green tea contains caffeine and theanine, and Gyokuro tea, due to the leaves being less exposed to sunlight than any other green tea, has a higher amount of caffeine than most. However, caffeine in tea works as a healthier stimulant than caffeine in coffee, as it is released progressively throughout the day. This means it will enhance your cognition and alertness, shorten your reaction time, stimulate your heart and improve your concentration. Therefore, if you are looking for an energy boost that lasts longer, without getting stressed, Gyokuro is a great coffee alternative. Do you wish to keep your heart healthy and strong? Drinking tea on a regular basis is a good way to do it. Every drop of tea fills your body with minerals, nutrients, antioxidants and vitamins that reduce the risk of cardiovascular diseases, by lowering bad cholesterol (LDL) and regulating your blood sugars levels. Always take your Gyokuro tea unsweetened and it will help lower blood pressure and protect you from dangerous toxins. Other good news is presence of fluoride and minerals in your Gyokuro tea. As a green tea it will help clean your mouth. It will act as an antiviral agent, preventing bacterial infections, dental plaque and tooth decay. Your breath will be fresher and you will have reasons to smile because a healthy mouth is the first step to a healthy digestive system. Being a green tea, Gyokuro has much to offer, and if you wish to learn more about the general benefits of this type of tea have a look at green tea health benefits. Begin your Japanese tea journey now! This is a special tea indeed, special in the way it is processed and special because of the many health benefits you get just by drinking a delicious cup of tea. So let’s put the kettle on and have a cup of tea. Enjoying this great and fine tea requires a bit of care and attention. Get the most out of your tea by learning how to brew Gyokuro tea. With such a special tea it is best to brew small quantities each time so choose a small porcelain teapot and drink the tea in small porcelain cups. Make sure you pre-heat your cup and tea pot, as this tea is brewed with water at a lower temperature, preheating ensures a warm cup of tea for a longer period of time. For a rare and expensive tea like Gyokuro, use good quality water, and brew it around 50ºC – 60ºC (122ºF – 140ºF). The low temperature will allow the tea to last longer without ruining the tea leave and it will reduce the level of caffeine in your tea. Note that 5 or 10 degrees up or down from the ideal temperature will make a difference in the taste of your tea. It may be worth buying a thermometer for such an exquisite tea, and if you overheat the water you can let it cool down for a few minutes. 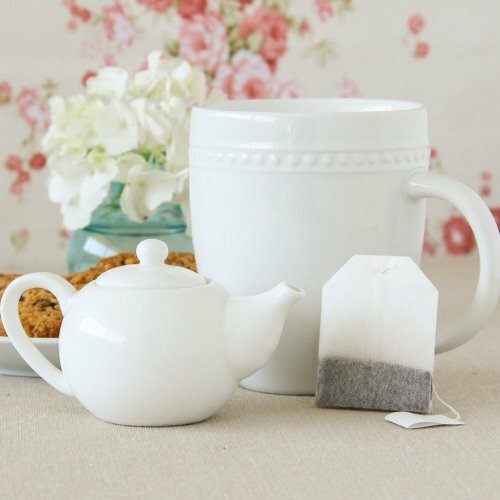 Add 1 or 2 grams of loose leaf tea per ounce of water (30ml). If you don’t have a small scale, then the rule of thumb is that a teaspoon holds about 4 grams of dried tea leaves. As you see, the amount of tea and the water temperature differs from other teas. 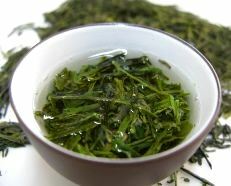 A cup of Gyokuro tea is made with very little water and very little tea, that’s why small porcelain cups are advisable. Another important step is the correct brewing time. Let your tea steep for 2 minutes, 3 at the most. The infused leaves will have the appearance of dark green shoots and you should start to sense a gentle marine-like odor. Gyokuro tea should be drunk plain and slowly, to enjoy the distinctiveness of the sweet and velvety flavor. The tea is of a pale yellow-green color with very slight acidity. This is a delicate tea, you may drink it at any time of day but it is ideal to drink in the afternoon if you wish to relax or after dinner as a treat. Serve this tea to your guests when eating seafood or sushi. The flavor of the tea perfectly matches the taste of the seaweed. You can re-infuse Gyokuro tea leaves up to 4 or 5 times, but the temperature and steeping time varies. Temperature needs to be higher, but brewing time shortens, because the tea leaves are already open and you want to preserve the taste of your tea. For the second brew, heat your water at 57ºC – 66ºC (135ºF – 160ºF), and infuse for 30 seconds to 1 minute. For the third brew, use water between 66ºC – 82ºC (150ºF – 180ºF) and let it steep for 1 minute. How about Gyokuro Iced Tea? If you wish to brew Gyokuro iced tea, pour 1.5 tablespoons of loose leaf into your cup and add 3 or 4 ice cubes. Give it time to melt completely and drink it slowly. Gyokuro can be quite an expensive tea, so you should be careful when storing it so that it lasts longer. Place the dry tea leaves in an airtight container that does not let in light. 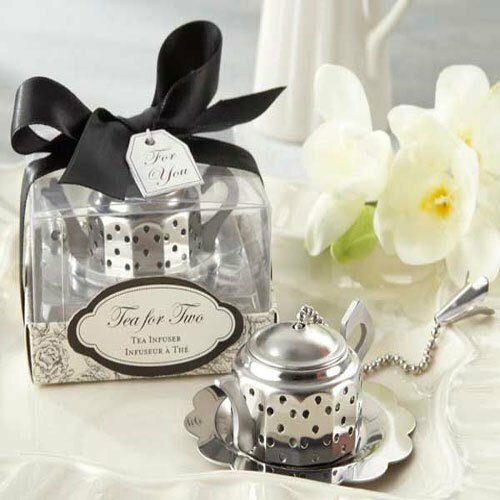 It is essential to prevent moisture from ruining the tea leaves. 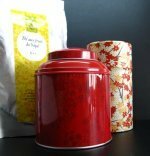 Properly stored your tea can last up to 2 years and its taste will become even better as it ages! Buy Your Gyokuro Tea Today! Click on the image or on the link below to purchase from Whittard of Chelsea your Gyokuro Tea. Get your Gyokuro tea from one of the best tea shops in the UK. We bought our first Japanese green tea in their London shop. 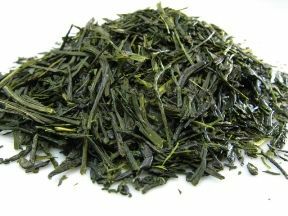 This high quality green tea is ideal to pair with Japanese dishes, such as sushi and sashimi. Or it can be simply enjoyed on its own for the perfect pleasure of its pure flavor. Buy your Gyokuro tea now! Choose Gyokuro green tea and take the next step in the world of Japanese green teas. Savor a wonderful tea and enjoy the ultimate green tea experience.